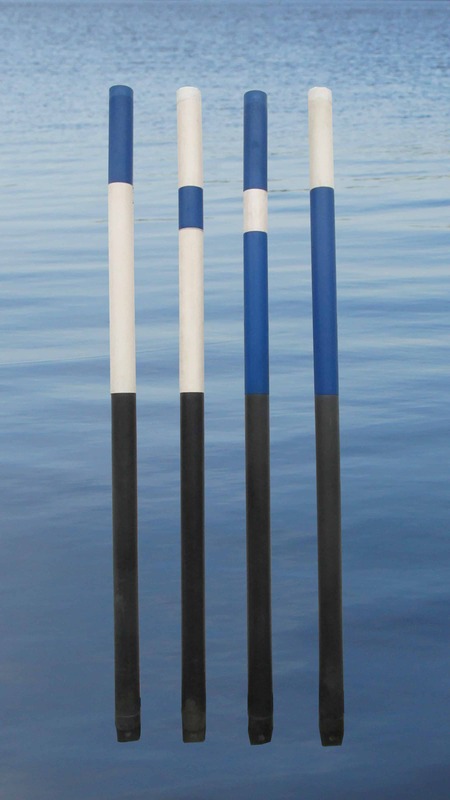 With the unofficial sea marks you can mark out fairways or shallows close to your shore. Reflectors can be added to the marks. The marks have a fastening point at its base for fastening ropes or chains. The sea marks are anchored using 25 kg concrete weights. Anchoring equipment is not included. Dimensions: length 235 cm, diameter 9 cm. The material and strength of the sea marks are compatible with the quality of official sea marks.